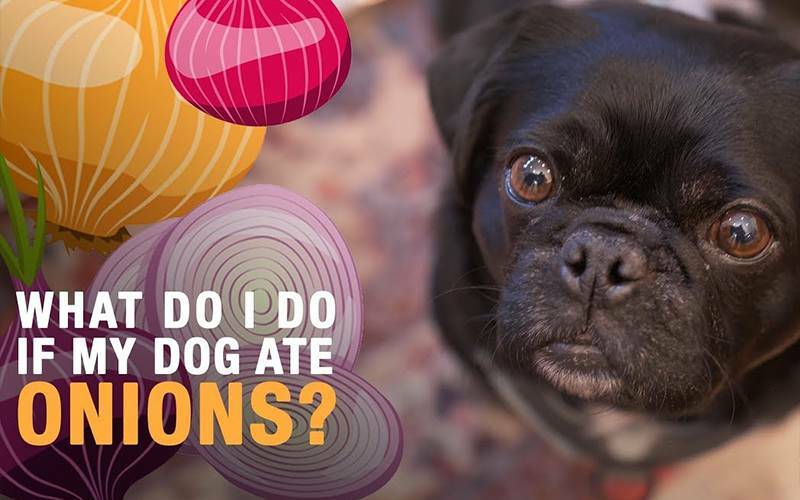 Most of us know that our dogs shouldn’t eat onions or garlic, but very few of us actually know why. While a stray piece of onion won’t actually hurt your dog, the danger is that the toxins can build up in the dog’s system. This means that a point can be reached where the exposure can make your pooch very unwell with an illness called hemolytic anemia. This condition destroys the dog’s red blood cells, causing them to burst and can be fatal. It generally takes between two to four days for symptoms to appear, which can include breathlessness, lethargy, diarrhea and vomiting. Your dog may also lose interest in food. A small bite of something (if you drop it on the floor and your dog is too quick for you) won’t really harm your pooch and besides, dogs generally don’t like the taste of onions. But to be safe, keep all onions and garlic products away from your dog, try to avoid feeding your pooch table scraps as the amounts in food can sometime be hard to gauge. If you think larger quantities have been consumed or your dog isn’t feeling well, see the vet straight away.